More than 70% of adults who in the live United States have a smart phone, and more than 30 million apps are downloaded every day. Many of those apps are designed with lifestyle management features in mind, such as a weight loss program or exercise schedule. As a gym owner, one of the most crucial marketing decisions you can make is designing a custom a mobile app. You’ll be able to introduce immediate benefits to customers and attract potential customers to your gym. • Communicate with Your Customers. You can send out push messages to customers reminding them about Jim hours, new programs and classes, or even tell them about cancellations due to weather. The more you communicate with your customers, The more likely they’ll be to step in to your gym. • Provide 24/7 Assistance. Your mobile app is there for your customers when you can’t be. Members who can’t remember if you open at 5 a.m. or 6 a.m. simply look at your app. If they wonder how much water they’re supposed to be drinking following a workout, it will be on the app. You can even record or download video that can be shown to customers who decide to continue their exercise program at home on a day they can’t make it to the gym. • Generate Revenue. During their gym tour, ask prospective clients to download your app so that you can show them the features, and explain that a gym membership will include customized programs tailored to their specific needs. You can also push out offers, personal training specials, and more. • Offer Up-to-Date Information. An app designed with the gym user in mind can remind them or help them with their lifestyle choices. 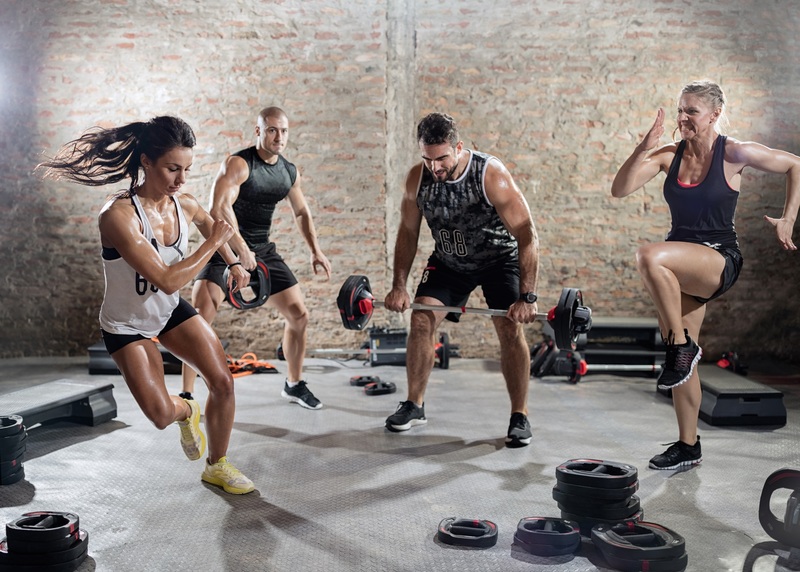 For instance, after visiting your gym for a workout, they can look on your app to see what they should be doing the next day for your customized program. If you have a personal trainer who is working with them, they can add information about cool down exercises and what schedule they should be following for the rest of the week, depending on what their fitness goals are. • Keep Customer Information in One Place. Apps can keep track of your weight, blood pressure, sleep, and diet. With a customized app, you can enter those parameters, which can then be used to further advance their overall health plan. When you’re designing your app, don’t forget the basic information: your customer should know where you were located, what your hours are, what your exercise programs are, what the schedule is for particular programs, and of course contact information like an email address or a phone number. Help your gym clientele reach their fitness goals by designing a personal training app they can use to track gym workouts, watch exercise videos, and log their progress. Fitness Marketing Solutions has a team who can create an app that will generate revenue for your business while providing features that other gyms don’t have. Set yourself apart from the crowd. Contact us today to set up a free consultation.